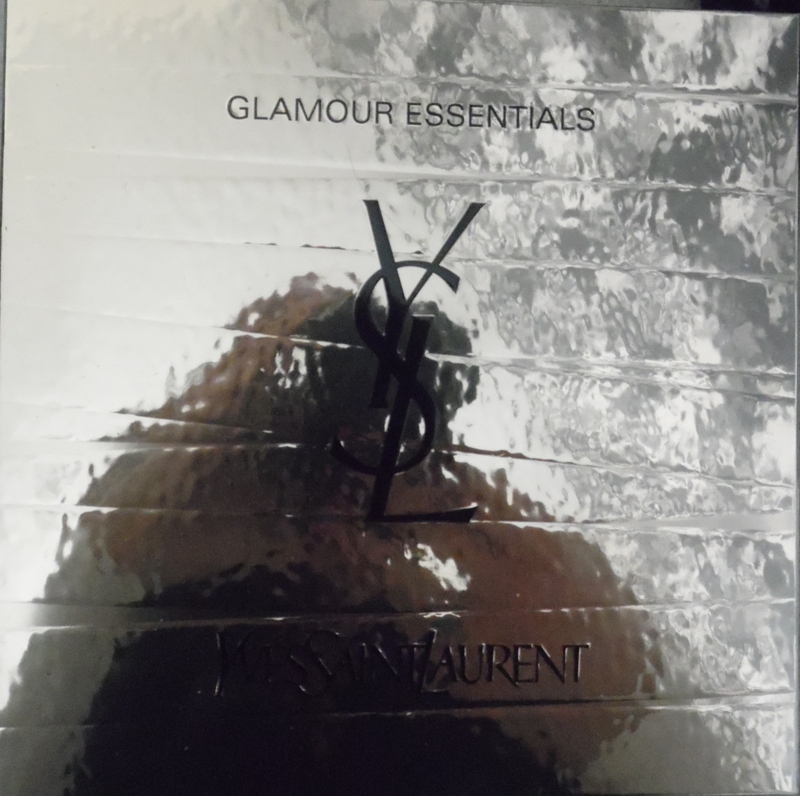 I used my YSL Glamour Essentials Giftset for the first time today. It came in a pretty gold box. 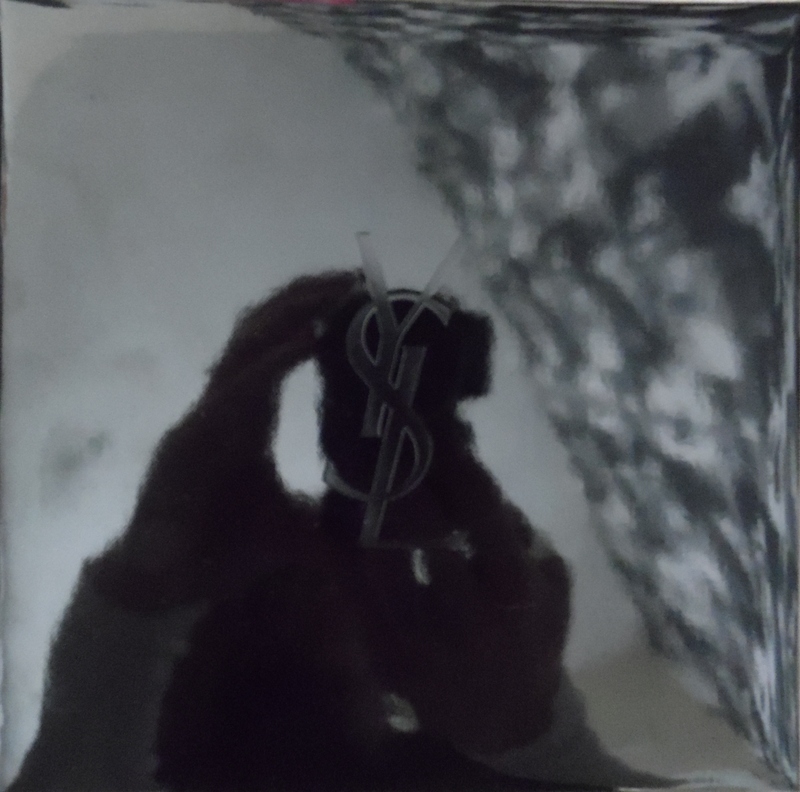 Inside was a luxurious patent black box, I love pretty packaging! It makes a for a brilliant gift, what lady wouldn’t love this set? 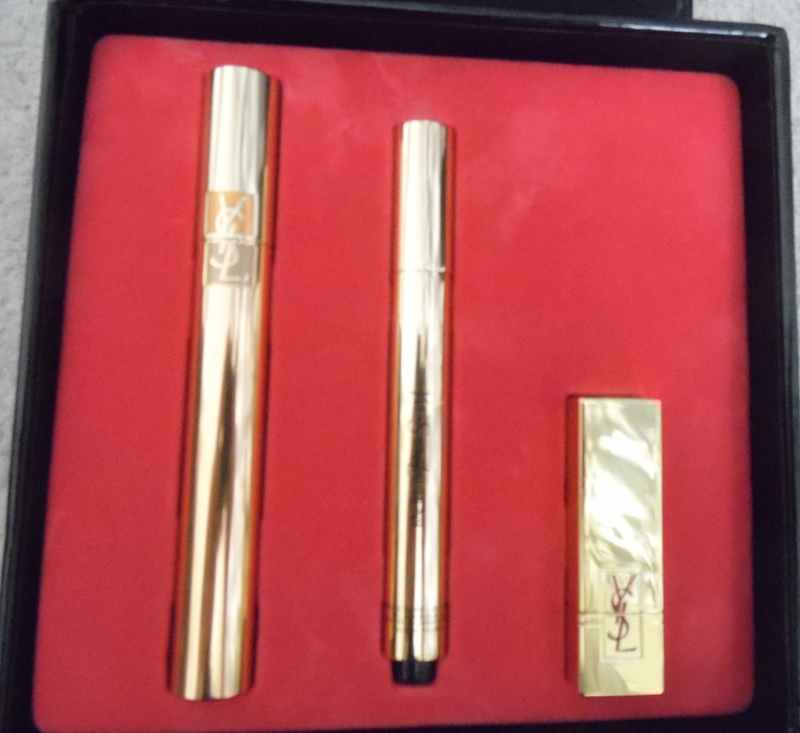 It contained the infamous Touche Eclat, Mascara Volume Effet Faux Cils & Rouge Por Couture Lipstick. I bought it for the amazing price of only £24.00 once my staff discount was applied. 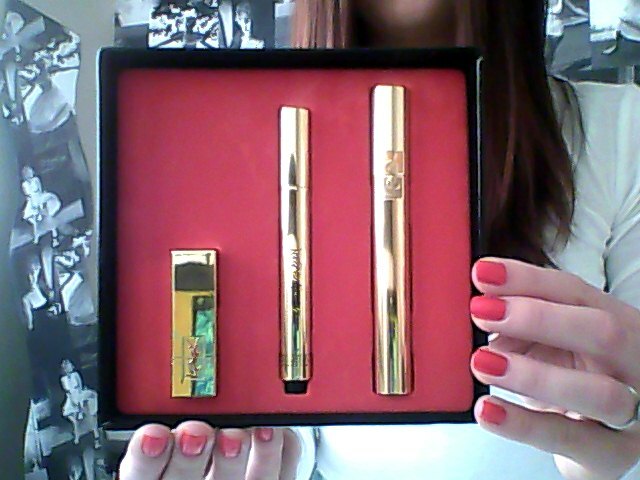 Firstly I tried the Touche Eclat, I was really impressed. It really seemed to give me a ‘touch of radiance’ around my eye area & I liked the consistency of the product. Next I put on the mascara & I fell in love! 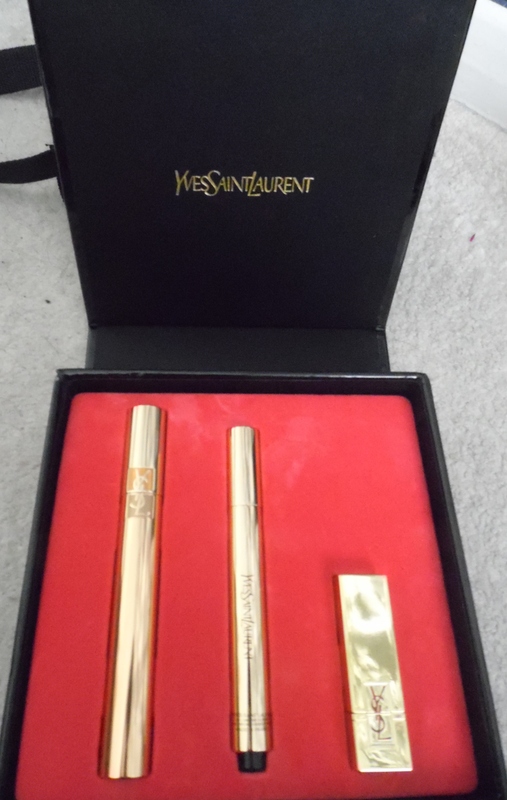 What an incredible mascara, I adore it. It glided over my lashes with ease & was quite easy to separate my lashes. It made them look so long & wonderful. The brush is quite big but it was really easy to use. I tried the lipstick which is a darkish berry colour but I wasn’t so keen. This is because I never wear lipsticks, I am definitely a lip gloss kinda girl. I ended up giving the lipstick to my Mum, it would be perfect for you if you are a lipstick wearer! I am seriously thinking about getting another of these sets since they are such a brilliant price!